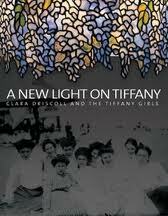 I read this entirely because I was curious about the book Clara and Mr. Tiffany by Susan Vreeland. I really did NOT enjoy Vreeland’s book but I was curious how much was true and how much was romantic fantasy. 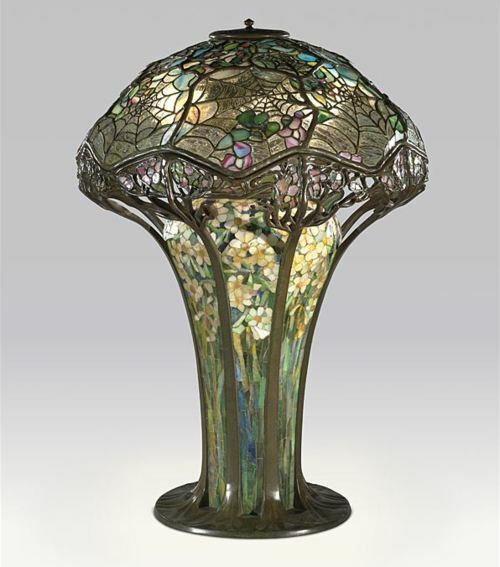 It appears that most of the major points of the Vreeland book are true but the rest of it is, imo, romantic trash coupled with the art and craft of the stained glass creation for which Tiffany is renowned. I’d always thought of Luis Tiffany as creating away in his little office and sending his designs out to be actually created. I thought of him as inventing some colors and techniques. Come to find out he had a whole studio / factory full of designers who never got credit and many of them were women. 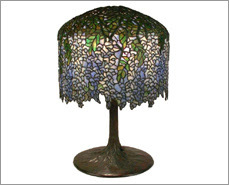 The manager of many of the women and the designer of many of the lamps was an artist named Clara Driscoll. She was really unknown until some letters turned up and then more letters and other materials. She was married, widowed, engaged and jilted but her career kicked in and she and her crew of women (as well as others) brought Tiffany fame and fortune. This book is a brief overview of her life and creations enhanced by many large glossy pictures. Beautiful gift or coffee-table book.